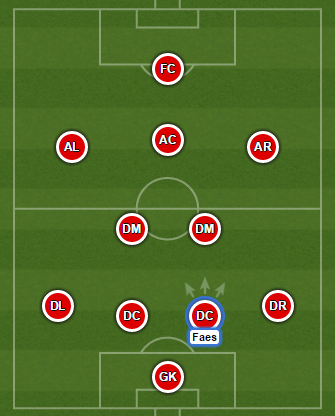 Future Cup 2015 winner with Anderlecht. Belgium U-17 championship winner with Anderlecht. 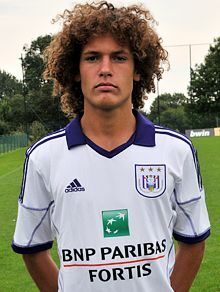 Wout Faes, despite being just 17, became famous online due to his similar appearance to Davis Luiz. He comes from Anderlecht youth team, which is currently one of the best in Europe. In 14/15 season, he was one of the youngest players at RSCA U-19, who got to Final Four UEFA Youth League in style, but got knockedout by the eventual champions in the semifinals, Shakhtar Donetsk. He captained Belgium at the 2015 UEFA European Under-17 Championship, where young “Red Devils” lost a penalty shootout to a very strong France outfit. Wout played for the senior Anderlecht side in friendlies and might soon follow in Vincent Kompany or Anthony Vanden Borre’s footsteps and join the senior team permanently.